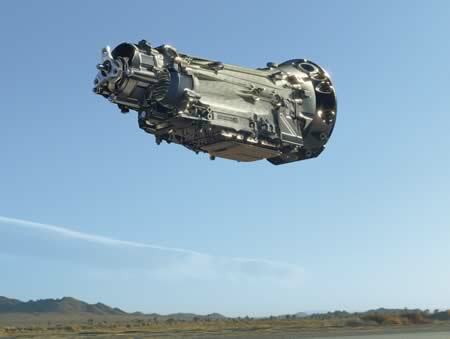 The first thing to check when winterize your car is the transmission. Cold, harsh weather and the road conditions that come with that, can wreak havoc on your car’s transmission, which can be extremely dangerous if your vehicle fails you when you most need it. First, transmissions really hate getting stuck in the snow and drivers rocking back and forth from drive to reverse. This can overheat parts and wear the out rapidly and in some cases actually break parts inside your transmission if prolonged rocking continues. Also, old unmaintained transmissions fluids tend to thicken in the cold weather which can cause problems with bearing and other parts lubrication and makes it harder it to smoothly shift gears or for specialized transmissions such as CVT transmissions, changing ratios. Secondly, all parts contract in the cold weather, which if worn from mileage or hard use could cause a transmissions fluid leak and damage sensitive parts. The best ways to prevent these types of damage from happening is to store your car in a warm or protected place if you can- like a parking garage- and to follow your Original Equipment Manufacturer (OEM) for suggested and appropriate fluid change intervals. As with most independent technicians new car dealership technicians, a Vehicle Courtesy Check or more universally called a (MPI), multipoint inspections included with any maintenance or repair service. A vehicle courtesy check is crucial for preparing your car for winter because it is a thorough inspection of all mechanical systems and includes your tires, air pressure and fluids. Vehicle courtesy checks typically include inspection of the car’s engine, transmission, steering system, starting system, heater and Air Conditioner (A/C system dehumidifies the cabin defroster air and reduces windshield fogging), along with all lighting, glass, wipers, brakes and tires. It’s also critical that all fluids, filters, belts, and hoses are checked properly and correspond with OEM maintenance recommendations. When you have a professional check all of these systems, they will let you know what should to be performed or exchanged to winterize your car properly and give you peace of mind that you will be safe come the winter weather. Antifreeze is crucial in the winter since it prevents the engine cooling system from freezing and it also keeps it from overheating, prevents corrosion, and lubricates important cooling system parts. Hybrid vehicles also use coolant to cool important electrical devices that help propel the vehicle. If you live in a climate where freezing temperatures and snow are common, antifreeze could be a real lifesaver and engine and other part protector. 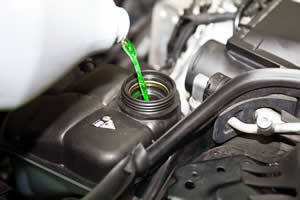 However, antifreeze- also known as coolant- only protects for a few years. After this time, it is no longer effective. 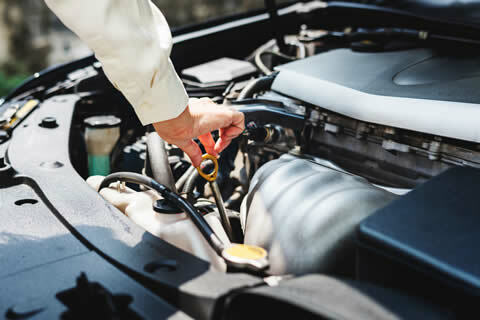 Check your OE maintenance schedule for when to change your coolant for your specific vehicle. In order, to get your car ready for winter, it’s important to check the oil for level and condition. It’s crucial that your car has clean oil- and enough of it- because oil is what prevents internal engine parts from coming together metal to metal and damaging important powertrain components that powers your car. Viscosity refers to the thickness of the oil and how the oil changes thickness as the temperature changes. It’s easy for oil to become too thick in the winter because cold weather thickens oil so it is important that the correct viscosity oil designated for your particular car is used. Before the winter weather hits, be sure to get an oil change with oil with the proper multi –viscosity and quality specified oil your vehicle calls for. Battery age: Ensure that your battery is less than 5 years old. Batteries older than this have a higher chance of dying- especially in the cold climates. Cables and wiring connections: Check that all connections and cables attached to the battery are taught and show no signs of corrosion. When connections are loose or corroded, the car can struggle to start. Keep it charged: Avoid leaving the radio or any lights on without the engine running for too long, as that can drain your battery’s charge and could prevent your engine from starting and long term could damage the battery. Winter tires may or may not be on your list of “how to winterize my car.” It depends on the climate. Oftentimes, only those who live in snowy climates need to install winter tires. However, there are some things that everyone should do for their car’s tires in the winter. First, it’s important to check the tires’ air pressure and general condition of the tires and don’t forget the spare tire. It’s incredible what temperature will do to tire pressure. With every ten degrees of temperature drop, tire pressure decreases by 1psi. Tires must have the proper pressure in order wear properly and hold the road properly especially in harsh weather. 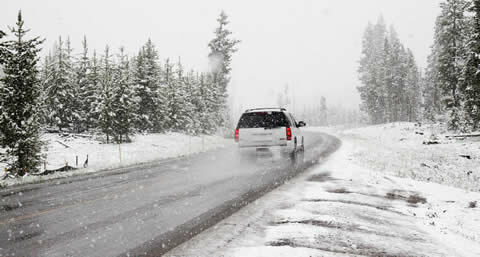 Secondly, assess your tire’s tread depth as it is essential winter driver preparation. When driving, only a tiny portion of each tire is in contact with the road, and that's why it's so important that your tires be in good shape. 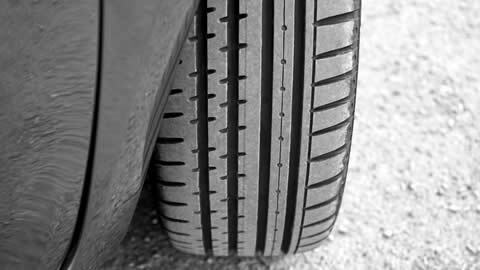 Your tread for safe driving your tire treads should be 4/32 deep or better. Here’s a quick tip! Take a quarter, Washington’s head down and stick it into the lowest part of the tread groove you can find,Ideally part of the top of Washington's head will be covered. If you can see Washington's entire head is showing, your tires are worn way too much for safe driving in the wet and cold and you should start thinking about a new set. Forty-three states require motorists to get new tires when the tread wears down to a 16th of an inch, but that may be too late with the rainy or snowy season is upon us. It’s always best to have the most traction as possible when driving in the winter. That’s why four-wheel or all-wheel drive can be extremely helpful. If you are fortune enough to have this feature in your car, take your car to a technician before the weather hits to ensure that the four-wheel drive is maintained and working properly. The technician can tell you if everything in the drivetrain is at functional properly and levels are clean and correct, including the transmission, differentials and transfer case fluids. Functioning brakes are absolutely crucial when driving at any time of the year. However, it’s more important than ever to check your brake pads and brake parts to prepare for winter driving. Roads and highways are more slippery in the winter than at any other time -due to the ice and snow that accumulates on the surfaces - which means that brakes will be used more often. It’s already dangerous to brake while driving on icy conditions, but faulty brake pads can only add to the danger. If the brake pads are grinding, squeaking or the car is jerking when the brake is applied, it may mean that it’s time for some new brake pads. In order to properly prepare your car for winter, you need to take the windshield wiper blades into consideration. In general, windshield wipers should be replaced about every 6 months to one year depending on how often they are used. However, very few people actually change their wiper blades this often. When wiper blades get old, they can harden, become stiff and crack, and begin to chatter and smear substances around on your windshield instead of cleaning it. Before the harsh weather hits you be sure to change your wiper blades. In addition, you should top off your windshield washer fluid each time you change your oil and especially before the weather calls for ice or snow. 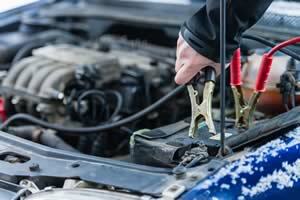 If it starts freezing where you live, select a good quality water fluid that antifreeze. It’s important to see properly while you’re driving at any time and especially during the winter when there can be intense rain, ice or snow conditions. 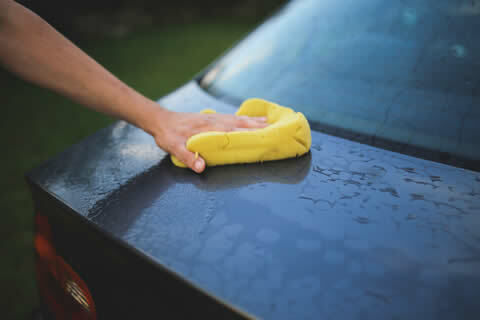 Wash and wax your vehicle before the cold weather hits to protect the paint and surfaces. There’s nothing worse than having cold, hard snow stick to your car. 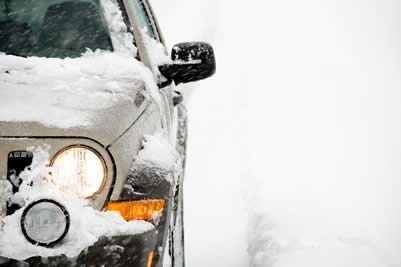 While having a sturdy scraper and snow brush can help remove some snow from your vehicle, the snow can stick depending on the specific weather conditions. When you apply wax to your car’s painted surfaces before it encounters snow and ice, it acts as a barrier and prevents the snow and ice from sticking. However, it will also help protect your car’s paint. Wax acts as a general barrier between your car and any element, whether it be snow, ice or heat. If you’ve ever asked yourself “What do I do to winterize my car,” there are quite a few tips in this article that you should keep in mind. 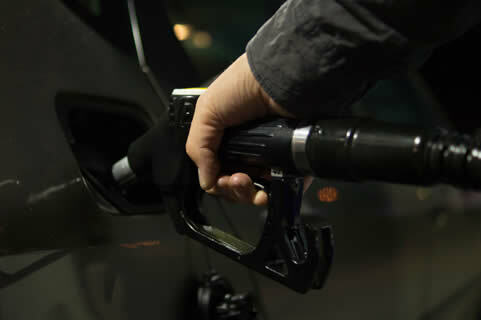 However, one of the most important tips is to ensure that your tank always has enough gas. It is never safe to drive when your tank is nearly empty, and especially this is the case in the cold winter months. You should try and make sure that your tank is never falls below 1/8 full. There are several reasons for this. Most importantly, running out of gas in the harsh weather could be dangerous. The engine won’t run and the heater won’t work, leaving you in a precarious situation. Next, fuel pumps are often in the gas tank and rely on the fuel to cool the pump and keep it from wearing out prematurely. Running your car low on fuel will cause the pump to overheat and perhaps fail if the fuel becomes too low to cool the pump. It may seem like there’s nothing worse than going out and having your phone die- but there is! Can you imagine having an accident, running out of gas (see above tip) or being stranded in the cold with no way to get help? That is truly scary. However, make sure you can call for help if this ever happens to you! Be sure to keep your cell phone fully charged and on your person in case you need to call emergency services. Also keep your cell phone charger in the car. 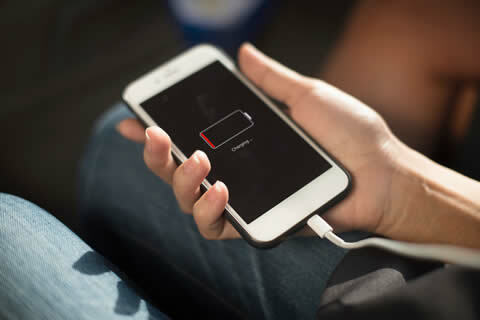 If you end up stuck for a long period of time, your phone might start to run low on charge when you need it the most. Even if you do all of these essential winter driving preparation tips, your car may still face troubles this winter. 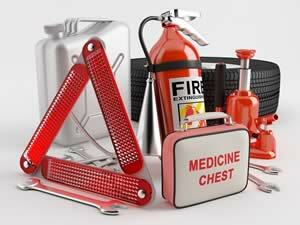 In order to ensure that you stay safe, it’s important to pack a winter emergency car kit. This kit should include items like a blanket, ice scraper and snow brush, shovel, winter clothing, emergency flares and reflectors, rock salt or kitty litter for under the tires in case you get stuck, a flashlight, a first aid kit, a tow strap or rope, jumper cables, a tool kit, extra washer fluid, and water and non-perishable snacks. This kit will ensure that you stay warm, hydrated, and fed if you get stranded and that you have the necessary equipment to get help. It’s important to remember that the majority of these steps should be done before the winter weather even begins. It’s always better to be prepared. The consequences of not learning how to winterize your car for winter can be devastating. The tips listed above are not only simple, but also take very little time to complete. In order to ensure optimum safety for you, your passengers, and other drivers on the road- implement these simple tips. Yo ’may thank us later. Sometimes even the best laid plans can encounter a few hiccups. 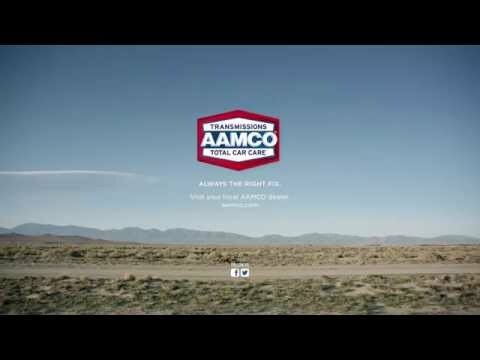 Our goal at AAMCO is always to keep you safe while out on the road, no matter your destination. 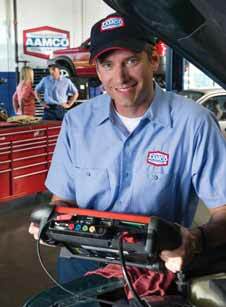 Should your vehicle experience any issues, call (800) GO-AAMCO to get in touch with an AAMCO Total Car Care center close to your location.